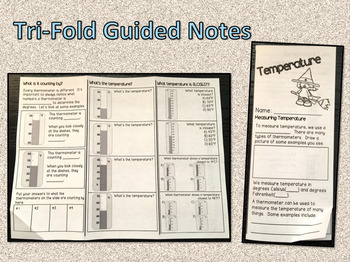 The product also comes with a tri-fold brochure that students can fill out while going through the presentation together. 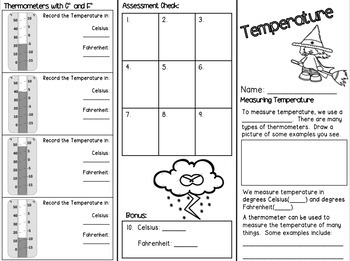 It is easy to fold and keeps students engaged throughout the presentation by filling in answers to questions, recording temperatures, and circling the best answers. 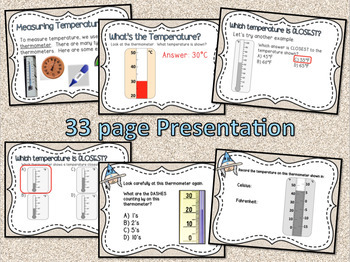 The last flap of the brochure leaves a place for students to fill in their answers to the assessment at the end of the presentation so you can gauge their understanding after presenting the concept of temperature. 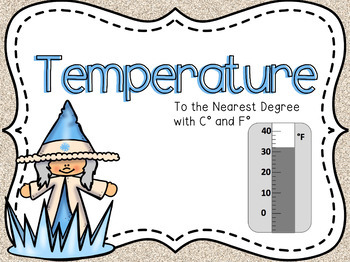 This product is low-prep and guaranteed to help your students gain a better understanding of temperature!